Termites alone cause over $5 billion in damage annually in the United States, and the subterranean species is estimated to cause more than 90% of that damage. Guess which termite species is the most prevalent in Tennessee—that’s right—the subterranean species! Could there be a more pressing reason for termite inspections in Franklin TN? The southern states, including Alabama, Georgia and Tennessee are the most heavily-termite infested area in the United States. Tennessee is located in Termite Infestation Probability Zone #2 (moderate to heavy), which means potential termite damage is significant. People don’t realize the importance of termite inspections because termites are a hidden threat. They can be damaging your home without your even knowing it. Since they eat wood from the inside out, many people don’t realize they have termites until it’s too late. Experts say that Tennessee averages 20 termite colonies per acre. So the question in Franklin TN is not “What are the chances of getting termites?” The question is “When?” Termite inspections in Franklin TN must be done. And, to avoid expensive repairs, termite inspections should be done sooner rather than later! 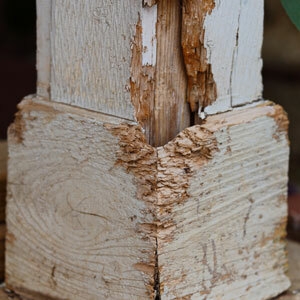 In the early spring, however, termites do leave clues that even the “untrained” eye might detect. When it is warm and rainy, termites emerge from their hidden nests in a swarm to start new colonies. You might see the swarm (which could be inside or outside your home), and you might see small piles of wings. (Termites lose their wings soon after taking flight.) Because swarming termites look very similar to flying ants, and because termite damage looks very similar to rotting wood caused by water damage, it is best to have a certified professional termite inspection of your property. Bug Authority provides termite inspections in Franklin TN and performs treatment services using Termidor®, the gold standard in termiticides. Termidor® is 100% effective at controlling 100% of termites in three months or less – a statement no other termite control product can make. Don’t wait for telltale signs they may never appear, call us today for your termite inspection.